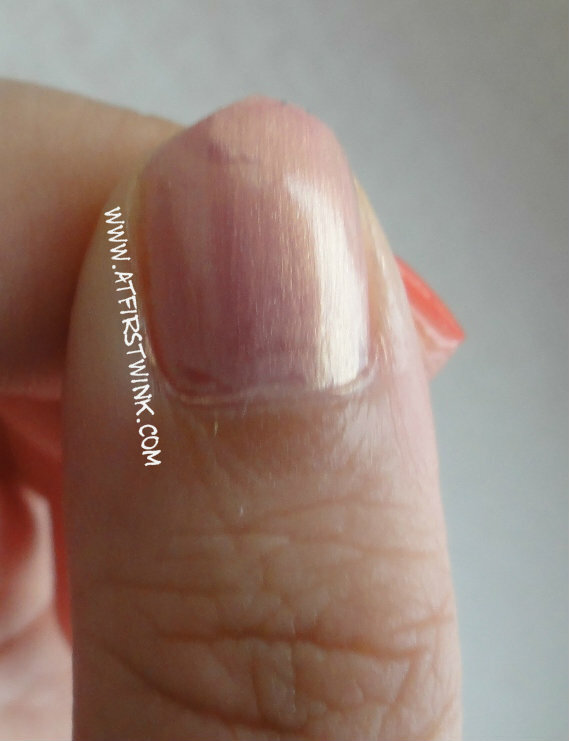 It has been awhile, but you must be curious about how the nail polishes from the third Gmarket order turned out on my nails. 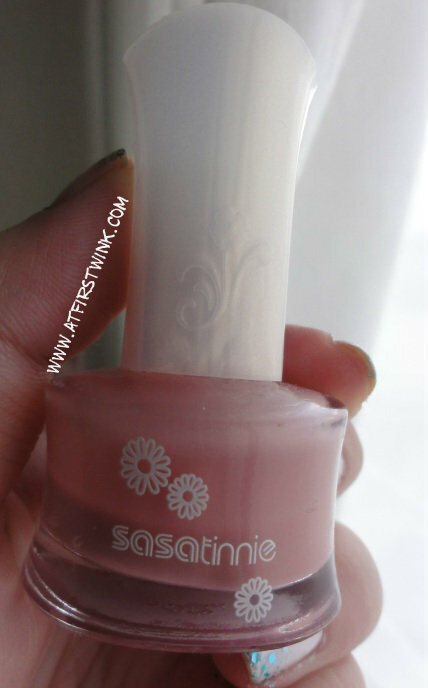 As you may have read in my third Gmarket order post, I bought 2 Etude House nail polishes and 5 Peripera nail polishes. 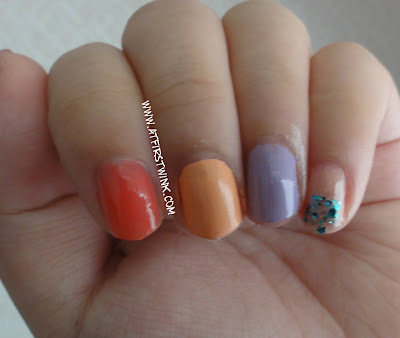 From Etude House, I bought the coral nail polish (HD line OR206) and the pink chunky glitter nail polish (05 darling pink sequins). 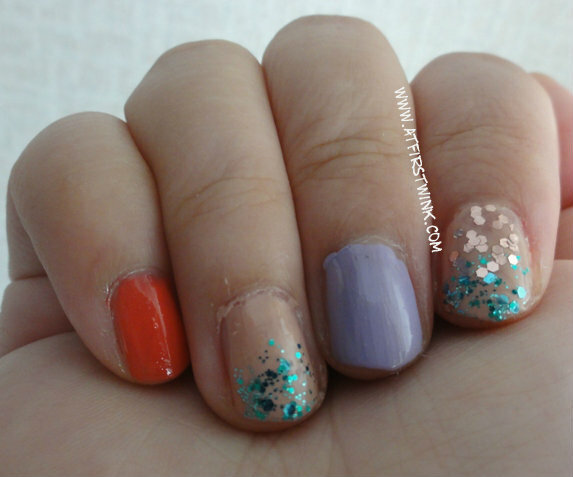 From Peripera, I bought a light orange (401), purple (PP108), plain pink (BR202), pink with golden shimmer (PK009), green glitter nail polish (P041 Sparkle Aqua). Just like last time, I have just tried all the colors on my nails at once. Although I like all my new additions, I especially love the coral Etude House nail polish, which has a glossy, warm coral color, and the Peripera Sparkle Aqua, which looks a little like paint splatter due to the glitters in different sizes and also because of the fruity, sweet smell it has. Today, I am wearing the Sasatinnie nail polish FCCHO004, which is one of my favorite pink nail polishes, combined with the Etude House 05 darling pink sequins on the tips. 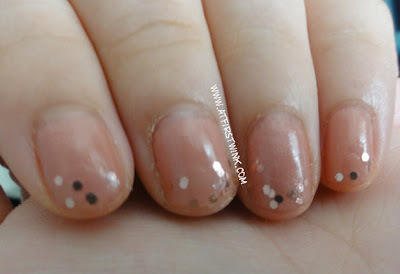 The nails do not look too over the top, really nice and subtle. I think it is quite suitable for work. The pink sequins remind me a bit of the pa nail polish Lame Grande AA11, which I really like. You can find better pictures of this nail polish in this post over here.